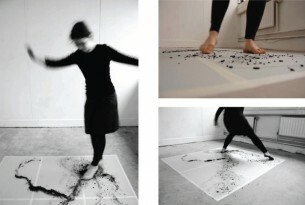 The work made on the residency will be in response to the LFTT at the Guesthouse in Cork. The LFTT is a mobile library turned art installation curated by Helen Horgan. The residency will allow the LFTT library archive to be utilised as source material for performance based work that investigates patterns in semiotics and body language..
As part of the launch of LFTT at The Guesthouse a performance piece was commisioned and presented on May 17th 2014. 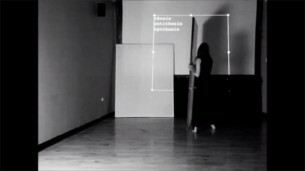 The work was presented as a live performance and featured Carolyn Collier, Inma Pavon, Amy Prendergast, Maria Sinnecker, Leslie Burton & Paula Larkin. © 2014 Carolyn Collier. All Rights Reserved.